One sheet boats are made from one sheet of plywood only. Small and cheap! I made a one sheet boat myself, although not from one sheet of plywood. The Pod , Tape and glue folding boat. Scow type hull. Very good free plans. Explorer , Plans for sale for a take-apart boat, by the same designer as above. 1SHEET+ , And another modular one sheeter. (Plans for sale). Mouse Boat (zip file) , Also a very popular design. info here. Pics here. Also a nice building log here. micro mouse[zip file] , a smaller version of the mouse, flat bottem. Here is a very nice example. One Sheet Coracle , A very unusual design! Simbo , This boat is pretty much a box that floats. It's very easy to build though. Micro Auray Punt , A very good looking boat. One Sheet Sampan , A sampan made from one sheet of ply. And also a nice quote at the top! The Dug , Finally, a true one sheet boat! This kayak is made from one thick sheet of plywood and doesn't need any other wood. HVS Hattory , This is a boat in the shape of a 19th century admiral's hat. And it actually floats! The Prism , A lot of one sheet boat theory followed by the ultimate one sheet boat plans. Versions of the prism , Ultimater versions of the prism. Halfpea , The smallest semi-decent dingy in the world. One Sheet Challenge , This is pretty much a brainstorm of how to make the perfect one sheet boat. Especially the Fat Little Skiff looks very promising. Pics! 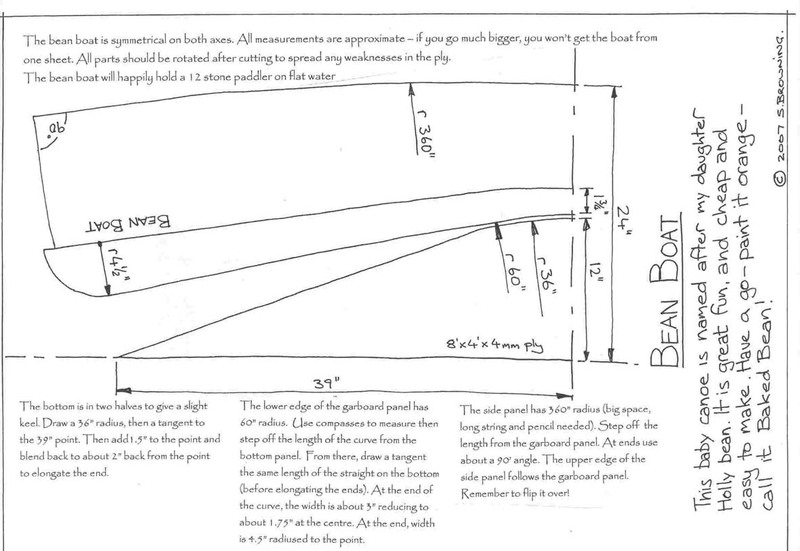 Harley-8 (pdf file) , Detailed instructions for making a one sheet boat. + sailing instructions! Also these launch pics and technical details of a slightly modified version. And here's another one! And a video. Baby canoe , A 7-1/2 foot canoe! Construction article. Atomic Shrimp , The building journal of a one sheet canoe, with outrigger. Mini Sharpie , Another one sheet skiff. Good building instructions too. Little Fat Boat(.pdf) , A double ended one sheeter. Also these launching pics and some modifications. The little fat boat gets a sail! And here are some sailing pics. CubCanu and Cubcanu mkII , a great little boat. plus a second slightly modified version. Download as msword documents from the site, or, for the mkII have a look on this site. Origami Pirate Ship , A one sheeter with a rounded stern. Delta Boat , A double ender. With building instructions. LU-Loonie , Another double ender. This text file also has the building instructions, and here it gets a bear paw sail. Dogboat , Coordinates for a one sheeter. Crackerjack , Plans for sale for a very useful looking one sheeter. Lewis Boatworks One Sheet Boats , I just keep finding more of these one sheeters! Here are 6 more; the Roamer, RoamerV, Max Capacity Johnboat, TombStone, OneSheetPunt and OneSheetPuntV. Johnn Wright's One Sheet Skiff , Near the bottem of the page a picture of a very racey looking one. Twig , A sort of square box dinghy. You need to join, then go to Files - Boat Plans - Turtle's Twig. Here's an example! Brat , Similar to the little fat boat. You need to join, then go to Files - One sheet boats. OS Boat , Very nice canoe-like boat. You need to join, then go to Files - One Sheet Boat by T. Lee. Bojak, Tubby, UFO, Swamp Boat , A new Yahoo group about one sheet boats. Island Bay Dory , A one sheet dory design. Ke-Pau , Plans for sale for a scow paddleboat. Kid-Row , Plans for sale for a small skiff. John Wright's creation , Sort of folded, very cool. Here is some more information. 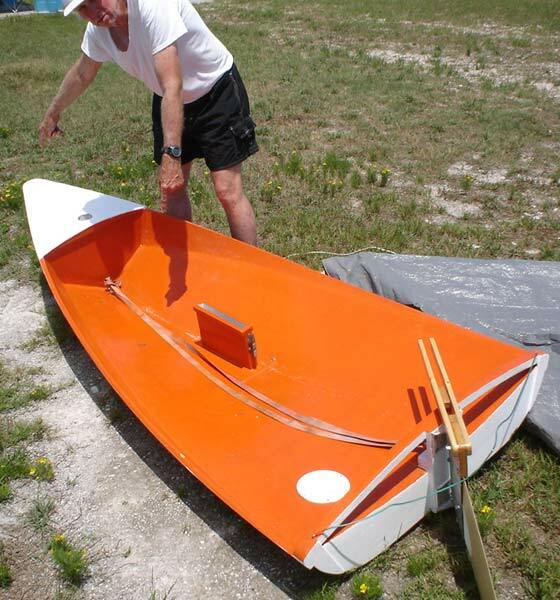 Baby Kate 6' , A toy lapstrake canoe. What, another one sheeter! , A little tortured ply canoe. Not very detailed. DK8 Junior Kayak , Plans for sale for a nice little kayak. Folding "Pirate Ship", and more , Also a half sheet boat. Now that's cool! Very entertaining site. Putz , A little kayak. The last of the one sheeters. , Another little kayak. Cutting plan included. What, another one sheeter? , A canoe type design. Just a concept. One sheet creation , Nice pram type boat. Banana Shark , V bottom kayak. 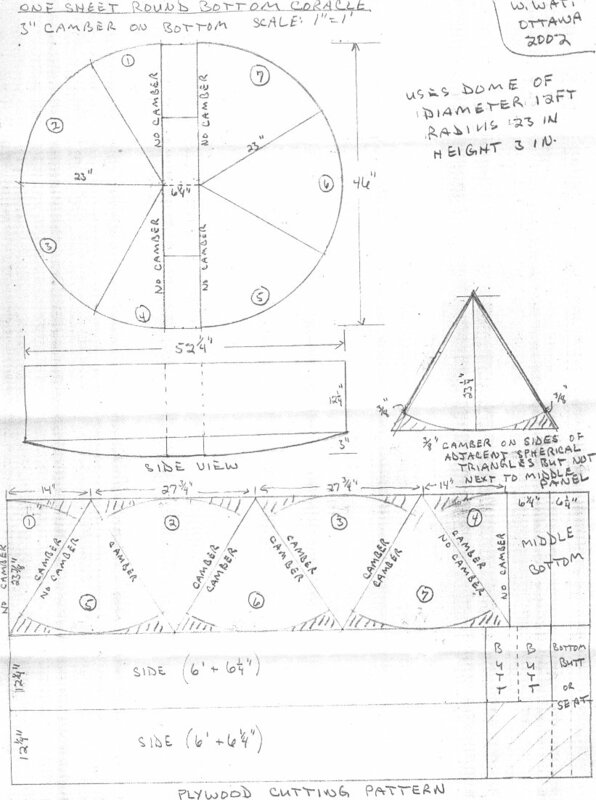 Pete 6 , Plans for sale for a sailing pram. Little guide canoe , A fantastic design! Building pics. And check out that fleet of models!! Little Sailor , Another fantastic design by the same as above.